Harald is the CEO and Curator of MLOVE. He is passionate about meaning in technology, the future of exponential technologies and its opportunities for society, brands and entrepreneurs. Together with Mirko Bass of Cisco, Harald co-created the Refugee First Response Center (www.rfrc.eu) – an award-winning medical clinic container that features 50+ languages via video live stream of 750+ interpreters. RFRC is live in 10 locations in Hamburg and recently was installed in Samos, Greece & Beqaa Valley, Lebanon. For MLOVE he created an inspiring global event series that brings together thought leaders and startups in an interactive format at amazing locations. MLOVE operates the Future City Campus in HafenCity Hamburg to showcase Smart City projects and startups in a co-working & event space made from 35 shipping containers. 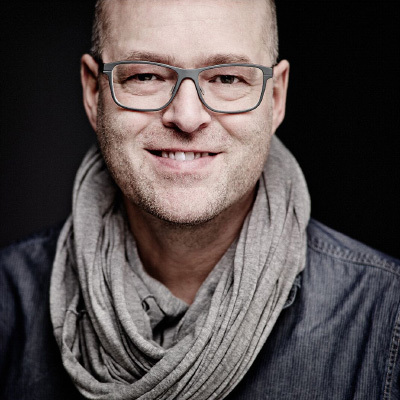 Harald is a Co-Founder of Smaato – a pioneering mobile advertising company headquartered in San Francisco where he was CMO for 7 years. Smaato was recently sold to a Chinese media company. Prior, he was leading award-winning digital agencies with prestigious clients in Europe and the USA. Harald is a frequent speaker on innovation, including TEDx, SXSW, SingularityU Summit, Wired, Next, MWC/ 4YFN and corporate executive events. He was named a “Top 50 CMO on Twitter” by Social Media Marketing Magazine, a “Marketing Maven” by NBC and a “NEXT 100 Top Influencer of the Digital Industry” by German magazine Wirtschaftswoche. He is an author of a book called “Lifestyle of Mobility” and an early book on computer art. Harald is an Singularity University alumni and lives in Hamburg.